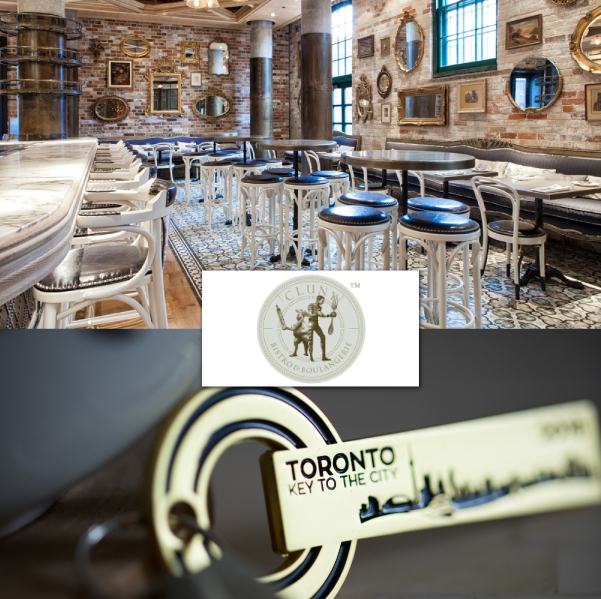 Flash & tap your Toronto Key To The City for exclusive VIP loyalty reward perk of 4 complimentary fresh Oysters as a starter on every dine-in visit all year. THE FINE PRINT: Cluny Bistro welcomes Keyholders with a fantastic VIP loyalty perk on every dine-in visit for lunch or dinner, all year long. This perk is 4 fresh complimentary Oysters when showing and tapping your Key on the mobile device provided by your server. Mention you have the Key when ordering. Perk has no cash value and may not be combined with any other offer. Perk is valid on any dine-in visits excluding New Year’s Eve. 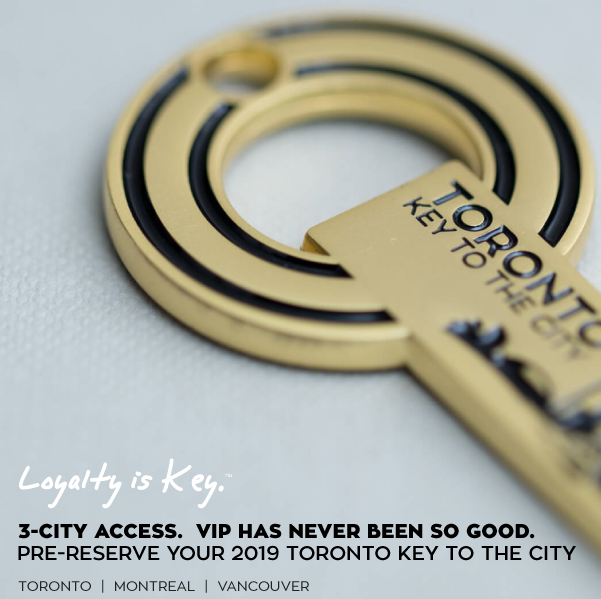 It’s all about loyalty returned with Toronto Key To The City by the best Toronto businesses. This perk has no cash value. Perk may not be combined with any other offer. Cluny Bistro reserves the right to change or substitute perk without notice. Enjoy your experience at Cluny in Toronto’s Historic Distillery District.